Hey everyone! So guess who tried a new shampoo? Yeah I did! And what did I think. Hmm. I hate writing negative reviews but unfortunately this isn't a happy one. So I've been loving Toni and Guy products recently and have tried their shampoo, and conditioner and some other styling products. So when I ran out of dry shampoo I figured I'd give one of theirs a go. 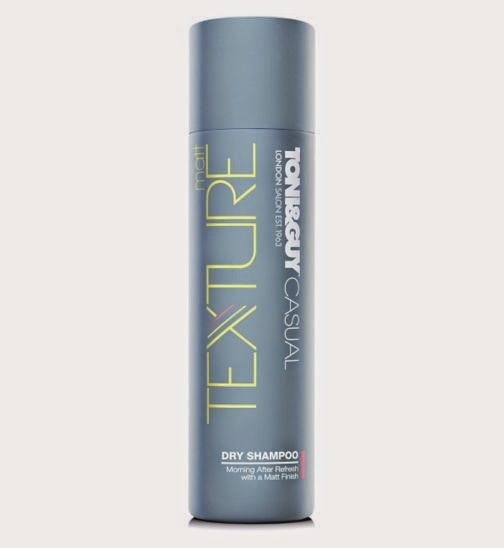 I tried the Toni and Guy Casual Matte Texture dry shampoo. To be fair I've used most of the bottle because when my hair is clean or not too greasy I do find it gives my hair more texture, it's more fun to 'play with'. It doesn't leave any white residue unless you spray it too close, and it smells quite nice! However, and this is a big player in what I like about dry shampoo, it really fails in making my hair look and feel less greasy :( In fact I'd argue it can even make it worse! Once again I find myself reaching for my trusty Batiste dry shampoo when ever I need to liven up my hair, so maybe this is where my search for a different dry shampoo ends? As honestly I've not had a whole lot of luck! Have any of you guys tried it? Let me know what you think!